Abdirashid Dulane (Ambassador) - Two painful years have elapsed since the sudden passing away of our Great Visionary Leader and Hero, His Excellency Ato Meles Zenawi. The newly established Ethiopian Tourism Organization (ETO) is set to award Ethiopians doing businesses abroad for their contributions to the tourism sector, which many believe is an untapped sector in Ethiopia. The two week-long annual conference of Ambassadors, Consuls General, and Directors Generals of the Ministry of Foreign Affairs concluded successfully this week on Tuesday (August 19). 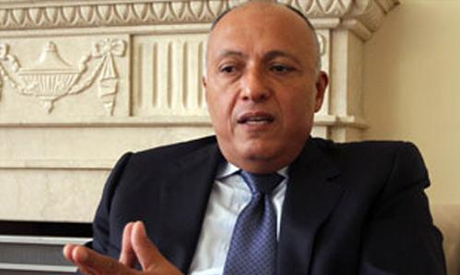 Egypt�s Foreign Affairs minister, Sameh Shoukry, has called his Ethiopian counterpart, Tedros Adhanom, late Friday in light of the upcoming discussions. 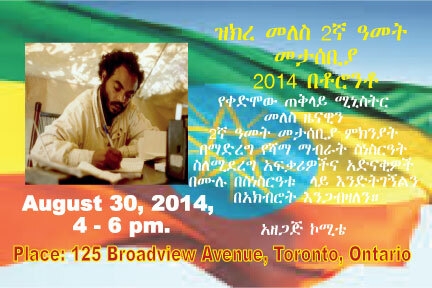 Meles Zenawi-Lifelong Fighter for Democracy and Justice! 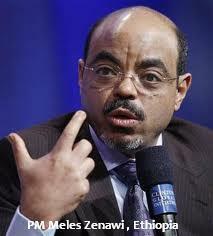 Meles Zenawi - A world-class leader ! Somalilandpress Website Becomes A Mouthpiece For ONLF And Ethiopian Opposition.